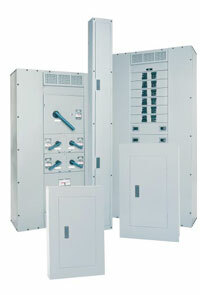 Our selection of panelboards spans brands such as Cutler Hammer, Westinghouse, IEM, General Electric (GE), and Square D, plus an endless array of customized options. .
For more information on our stock of panelboards or to learn more about our top-notch customizing abilities, please CONTACT US with your inquiry.